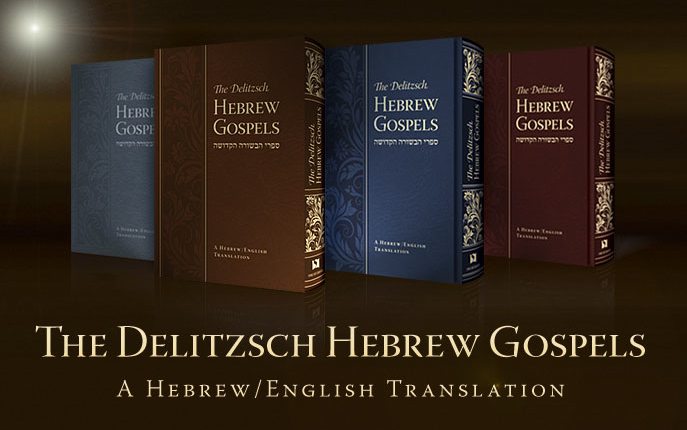 As many of you know, Vine of David (a division of FFOZ) has been working diligently on an English translation of Franz Delitzsch’s Hebrew translation of the Gospels for the past few years. 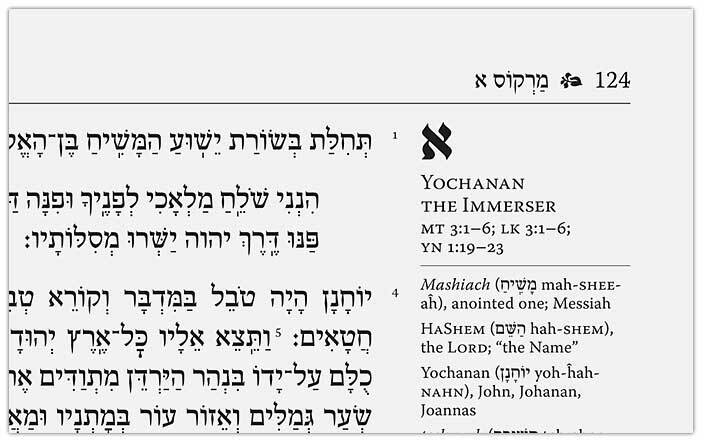 It is officially called the Delitzsch Hebrew-English (DHE) translation. As of yesterday, it has been released and is available for pre-ordering. Why is such a work important? Because it attempts to place Jesus and his apostles back into their proper place among Jewish history and spirituality. It is an attempt to reconnect Jesus and his message with his people. 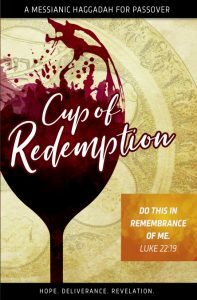 It is an attempt to bring the reader into the Jewish world of Jesus. 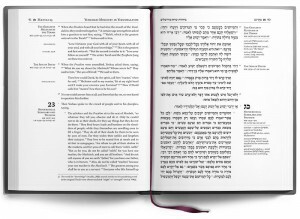 While David Stern’s The Complete Jewish Bible attempts the same, it only works to bring the non-Jewish reader into the Jewish text. The DHE takes it another step by trying to connect Jewish people with their Messiah. 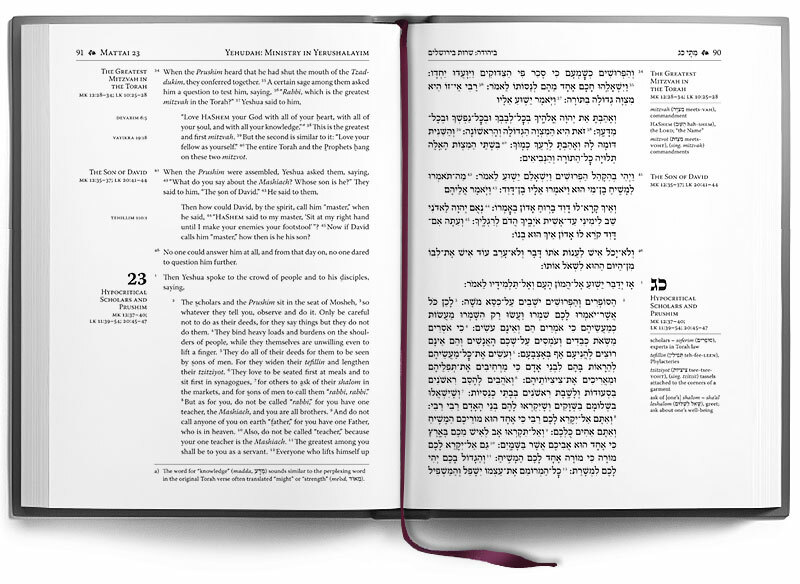 This has been done through presenting the full text of the Gospels in a parallel Hebrew translation, along with traditional blessings for the studying of the Holy Text, all in an elegant presentation as you would expect from publishers such as Artscroll. 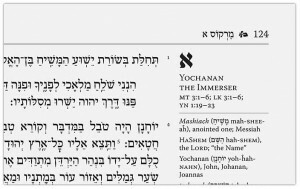 This text hopes to help Jewish readers see Jesus and his Jewish message as part of Judaism, rather than an outside voice from a separate religion. Delitzsch’s work is important, because of his “extensive knowledge of mishnaic Hebrew and first century Judaism… [which created] a translation and reconstruction of the Greek text back into an original Hebrew voice.” It is reported that the famed Dr. David Flusser, a devout Orthodox Jew and renowned New Testament scholar of Hebrew University, said that the Delitzsch Hebrew New Testament was the best translation of the New Testament extant in any language. Much support is needed for this project. It is going to take people like yourself to purchase the DHE and share it with others. You can do that on a personal level, or at a larger level. Vine of David is also publishing a Levy Hirsch Memorial Edition, which will is available solely for the purpose of distributing to Jewish people who do not yet know their Messiah. Vine of David will be taking donations to dedicate a specific number of these editions toward distribution among Jewish people. If you would like to a part of this momentous event, then support Vine of David and order your copy now. 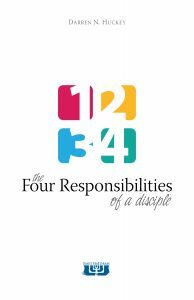 I wish to make only one comment about this project, and that is the Hebrew text which you are working on is based after the Greek translation of the NT Gospels. As such, and as far as Matthew’s Gospel is concerned (which is only a loose translation of the original Aramaic Gospel used by the Jewish Ebionites and the Nazoraeans, including passages that are later interpolations added to the Greek text and not found in the original Aramaic, your new translation will remain only as good as the Greek translation, preserving its original flaws and errors &c. Personally, I feel that you are doing a great injustice to humanity, in that for Jews the Messiah has not yet come. Yet, time, money and energy are spent and wasted on perpetuating this distorted image of a man who claimed to be Israel’s Messiah, but wasn’t. Shalom, Avi. I appreciate your taking the time to comment. Unfortunately, I don’t believe we can validate the assumptions you have made regarding the original “Aramaic Gospel” and the differences between it and the Greek texts. I know a handful of people who support an Aramaic supremacy position, relying heavily upon the Peshitta. However, scholarly consensus is that the Peshitta is not older than our extant Greek manuscripts, and does not have an authoritative voice in this regard. More importantly, if you truly study the life & teachings of Yeshua, particularly in regard to his mission to be Mashiach ben Yosef, and suffer and their behalf, restoring the spiritual soul & crowns (according to the Talmud) to Judaism, then you will see how he is the promised Anointed One of which the prophets spoke. He came liberate his people from their sins which had enslaved them. Yes – the sacrificial system & true repentance was effective. However, through the poured out life of the Messiah, all Israel can truly be released from the enslavement of a life of sin. He has done this for millions of people throughout the last two thousand years, and there are many who can attest to this. Don’t be duped by anti-missionary claims. 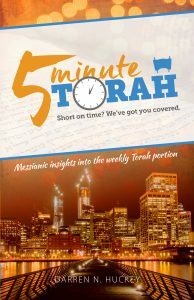 Yeshua was a Torah-observant Jew who lived his life as a perfectly holy tzaddik, and then died the death of the righteous so that his perfection would merit our redemption. And to not attach oneself to a righteous man in his death bad enough, but to spread lashon hara about the Righteous Mashiach who suffered on our behalf is unthinkable. I challenge you to please study the Delitzsch Gospels if you are a Jew and you know Hebrew, and allow the ruach of Hashem to discern truth from error. Lastly, even though I disagree with you, you are still welcome to post comments on my blog as long as you are respectful. I look forward to hearing more from you. The coming of the Messiah is an interesting issue to which many prophecies are connected. Below, we are going to examine this area, that is, the prophecies connected with the coming of the Messiah. The purpose is to go through especially what has been told in the Scriptures – the Books of Moses, psalms and prophets – about the coming of the Messiah, the point of time of His coming, His life, His origins and whether or not these prophecies have already been fulfilled. In other words, the purpose is to find out how these things actually came true. Previous Previous post: What’s Stopping You?